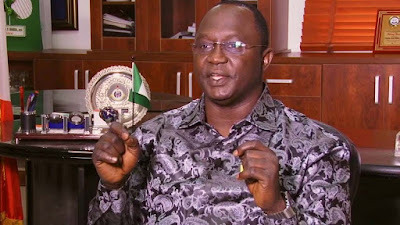 Mr Ayuba Wabba, President, Nigeria Labour Congress (NLC) has promised to double his efforts in protecting the interest and rights of the Nigerian workers. Wabba made the promise in his acceptance speech, which he read at the end of the 12th Delegates Conference of NLC on Wednesday in Abuja. The News Agency of Nigeria (NAN) reports that Wabba was returned as the President of NLC unopposed after a unanimous decision by delegates at the conference. NAN also reports that all the newly elected officers would be in charge of the workers’ union between 2019 and 2023. According to him, the labour leaders would double their efforts to ensure that the rights and interests of workers are protected. “The board will respect the will of members and consolidate on what we are doing. “We will continue to conform to the tradition of the union and speak the truth to those in power. The daily challenges of workers at work place will be confronted. “We have been able to work assiduously in the past four years and we will move forward to build workers poser. I assure our members of our commitment and dedication to the resolutions of the conference,” he said. The NLC president called on the political class to imitate the rancour-free election of the NLC. He also said that it was important to address the global imbalance where more people live below poverty line in spite of the growing global wealth. NAN reports that among those returned are first deputy president, Amaechi Asuguni; second deputy president, Muhammed Idris; and third deputy president, Najim Yasim. Others are National Treasurer, Ibrahim Khalil; First Vice president, Abdulrafiu Adeniji; Second Vice president, Peter Adeyemi; Third Vice president, Lawrence Amaechi; Fourth Vice president, Oyelekan Lateef, Fifth Vice president, Mercy Okezie and National Trustee, Adewale Adeyanju. Also elected are financial secretary, Mustapha Adamu; first internal auditor, Simon Ankavar; second internal auditor, Benjamin Anthony; third internal auditor, Olatunji Babatunde; first ex-officio member, Funmilayo Issa; and second ex-officio member, Comfort Okoh.